The system allows for the van der Pauw/Hall combined measurements. 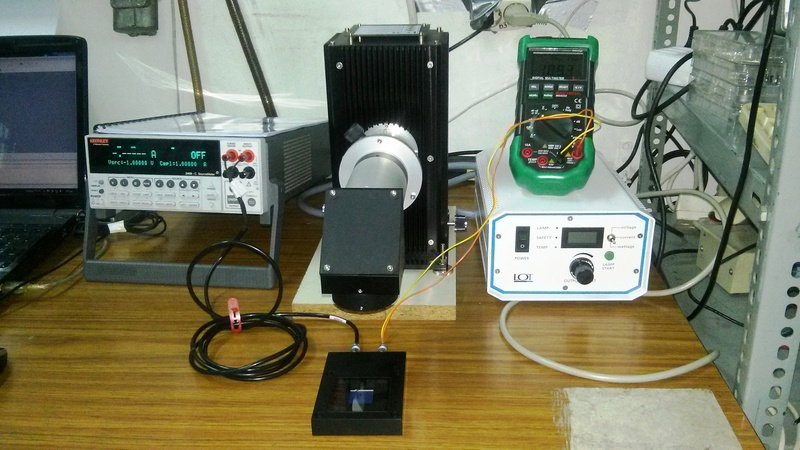 It consists of a Keithley 6220 DC current source and a low noise 2182A Nanovoltmeter. A pC controls the system via a house-made Labview program. The maximum magnetic field is 0.9 Tesla. The magnetic field can be calibrated with the aid of a Wuntronic handheld Gauss/Tesla meter with USB connection to a pC. The system consist of Solar light simulator and a reference Solar Cell (both from LOT, Germany). The simulator has a 25 mm beam diameter and a AM 1.5 filter. a via house-made Labview program.